Arlington now has its very own community FM radio station, WERA-LP. Broadcasting at 96.7 FM, WERA's mission is to enlighten, enrich, and entertain Arlington's diverse community by promoting and facilitating independent radio production. 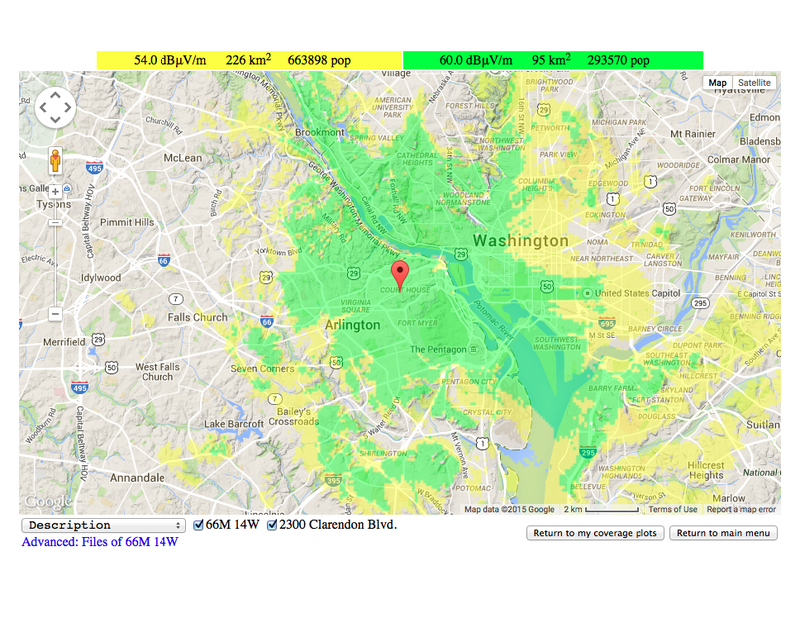 The signal covers nearly all of Arlington and reaches into downtown Washinton, D.C., including the White House and a portion of the National Mall. However, the station will focus on Arlington County with an intent to provide hyper-local news, information, and entertainment. Although the FCC granted AIM a construction permit for the station in June 2014, it was not until the end of September that AIM’s Board of Directors gave the go-ahead to develop a station over the course of the next 14 months. The Board also established a standing committee and charged it with working alongside staff, AIM members, and the public to plan and implement all the steps required to build and operate a low power FM station. The FCC created the Low Power FM (LPFM) radio service in January 2000. LPFM stations are authorized for non-commercial educational broadcasting only (no commercial operation). They operate with an effective radiated power (ERP) of 100 watts (0.1 kilowatts) or less, with maximum facilities of 100 watts ERP at 30 meters (100 feet) antenna height above average terrain (HAAT). In early 2012, a small group of Arlington residents approached Arlington Independent Media to ask if AIM would consider being the non-profit partner in an application to the FCC for a low power FM construction permit. The Board of Directors granted the Executive Director authority to expend the necessary funds to hire an engineer and put together an application. In June of 2014, The FCC issued AIM a construction permit to build a low power FM radio station to operate at 96.7 MHz. Construction of a state-of-the-art audio production suite was completed in April 2015, ideal for capturing podcasts, pre-produced radio shows, voiceover and sound mixing, and live music recording. In addition to serving the needs of our current video and multimedia producers, the audio production suite contributes to AIM's continued efforts to teach audio production to community members and encourage the creation of quality community audio programming. For press queries, please contact Paul LeValley at 703.524.2388.